95.1 KSKY is KSQY-FM, Rapid City & Deadwood, SD. We’re your home for Everything That Rocks in the Black Hills and surrounding areas–Rocking 50 counties in 5 different states! Your home for the Free Beer & Hot Wings Show weekday mornings, and playing 40 minutes of non-stop rock, hour after hour. 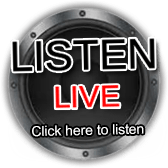 Click HERE to listen to our live stream. Find out about our mobile app HERE.